The post Princess Castles, Pork Knuckle and Cheap Pints: Czech Out What to Do in Prague appeared first on Hostelworld Blog. 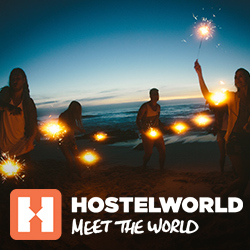 The post Ten of the Best Hostels in Prague appeared first on Hostelworld Blog. If you are backpacking through Eastern Europe and make your way to the Czech Repbulic, you might want to check out the caves on the Moravian Karst.